Exploiting Chinese Culture to Justify Repression? BEIJING, 26.11.2014 (China in Perspective) – China’s human rights record has deteriorated under the rule of President Xi Jinping. The persecution of religious minorities and human rights activists has worsened. The ability of Chinese to speak and associate freely has been further restricted. China has even more aggressively rejected international concerns about such problems, with official sources denying the existence of universal human rights values and claiming a special Chinese approach to human rights. No one would deny that such differences exist. But while Chinese culture may emphasize the importance of obligations to groups, as opposed to individual freedom, that does not justify the denial of individual human rights. 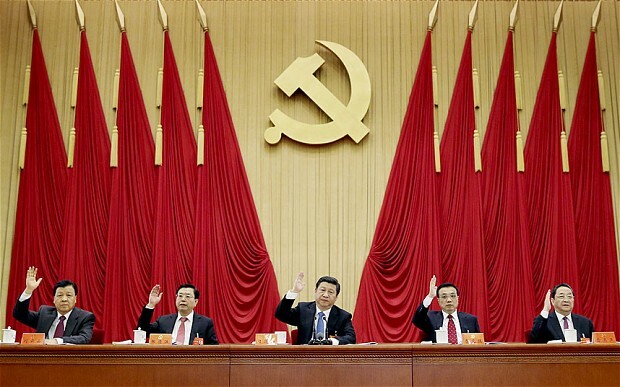 Xi is fashioning himself as a new kind of Chinese premier—modern, pragmatic, and humane. Yet this is essentially the same, threadbare “cultural relativism” argument that his predecessors have trotted out to justify repression. It is the self-serving argument of dictators around the world who hide behind selective interpretations of cultural legacies while denying their citizens political freedom. Chinese have both embraced and rejected Confucianism over centuries. Many Chinese intellectuals have challenged an interpretation of Confucianism used to justify autocracy and human rights violations. They have found other strands in the vast wisdom of Confucius that are consistent with the principles of human rights. Others have condemned traditional Confucianism as authoritarian and sexist. In fact, traditional Chinese culture is far from monolithic; like all great cultures, its main sources are multi-dimensional and dynamic. Regardless of its approaches toward the individual and obligations to groups and national authorities, Xi is correct that the idea of human rights cannot be found in traditional Confucianism. Indeed, neither can the idea of human rights be found in Judaism, Christianity or Islam, or probably in any other religious tradition, despite fashionable efforts to claim otherwise. Here is where the confusion lies: Religions have given mankind an appreciation of the sanctity of life and the dignity of the person. They have been the source of values by which humans have tried to overcome the cruelties of the natural world. . But human rights are something else. Human rights, as conceived by Enlightenment philosophers, are legal mechanisms to protect individuals of any cultural background from tyrannical governments. They place a protective canopy around the individual by limiting the degree to which states can infringe on freedoms that are essential to our common human nature. Indeed, derived from the tradition of natural law, they originated as a “Western” idea, the result of a rational analysis of how governments can protect human dignity. But human rights have been recognized as a universally valid principle, embraced by leaders from every world culture and enshrined in the Universal Declaration of Human Rights. We may stipulate that Chinese culture emphasizes group identifies, duties, relationships, and integration, but it is false to claim that those are incompatible with international human rights standards. The system of human rights protections built around the Universal Declaration is designed to accommodate different cultural values. The international human rights system does not impose cultural homogeneity on the world, but rather accommodates diversity. In the vast majority of cases, human rights do not conflict with cultures; but human rights are incompatible with political regimes that abuse basic rights and freedoms. While the powerful Chinese president says he want to build pride in Chinese culture, he is in fact degrading that culture by ostentatiously exploiting it to justify crude political repression. It is a virtual certainty that Chinese citizens will increasingly demand respect for their rights, demands not driven by political or ideological ambitions as much as by dreams of living in a society free of coercion. Those who resist state oppression are not a political opposition interested in imposing some form of imported Western liberalism on Chinese society, but citizens with diverse political views who want respect for their human rights. If President Xi would recognize this, he could save China from increasing and tragic conflicts caused by needless violations of basic freedoms. He could differentiate himself from exhausted Marxist-Leninist rhetoric and the pitiful misunderstandings of the nature of human rights that Chinese officials have so often revealed. And if China used its immense economic and political power, and the authority of its ancient culture to promote human rights around the world instead of subverting human rights as its government now does, our common future would look much brighter. Aaron Rhodes is president of the Forum for Religious Freedom-Europe and a founder of the Freedom Rights Project, a human rights think-tank. He also serves on the board of the China Reporters Foundation. He was executive director of the International Helsinki Federation for Human Rights 1993-2007. His articles have appeared in the International Herald Tribune, the Christian Science Monitor, the Wall Street Journal, Die Zeit, the Huffington Post, and elsewhere. He is based in Hamburg, Germany. This entry was posted in Uncategorized and tagged China, communism, confucianism, Human Rights, marxist-leninist, natural law, universal declaration of human rights, xi jinping. Bookmark the permalink.